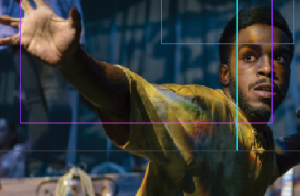 Cover of Black Acting Methods Critical Approaches. Dr. Sharrell D. Luckett will host a conversation with fellow theatre teachers, researchers, and makers, Kashi Johnson and Jonathan Mathias Lassiter, concerning the decolonization of acting methods and pedagogies. While recent conversations tend to focus on norms of representation, this event seeks to explore the myriad eurocentric assumptions that are at play in the formative process of acting, and to present alternatives that stem from African legacies, sensibilities, and experiences. In addition to the public conversation, a closed session for interested actors will take place during the afternoon. registration to the session is now closed. 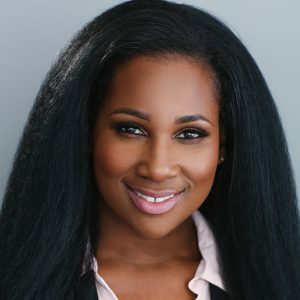 Sharrell D. Luckett, Ph.D. is Director of the Weinberger Center for Drama and Playwriting and Assistant Professor of Drama and Performance Studies at the University of Cincinnati. She is lead editor of the award-winning Black Acting Methods: Critical Approaches (2017), and author of YoungGiftedandFat: An Autoethnography of Size, Sexuality, & Privilege (2018). 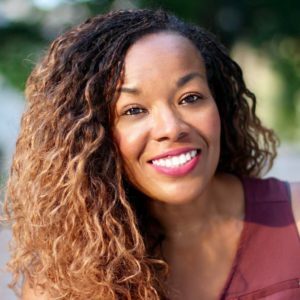 In addition to working as a dramaturg, playwright, and actress, Luckett has directed Topdog/Underdog by Suzan-Lori Parks, for colored girls… by Ntozake Shange, Oedipus Rex by Sophocles, Ruined by Lynn Nottage, and Dreamgirls by Krieger & Eyan, among others. She is founding Director of the Black Acting Methods® Studio, a training program in performance theory and practice. Kashi Johnson is Professor of Theatre at Lehigh University where she teaches acting courses and Hip Hop theatre. 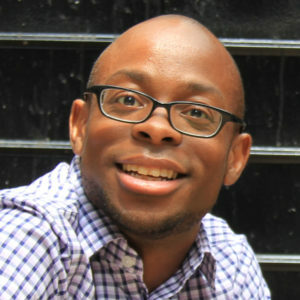 In addition to being a director and actress, Johnson is a pioneer and innovator in Hip Hop Theatre pedagogy. She has given talks about her cutting-edge Hip Hop Theatre course ‘Act Like You Know,’ for TEDx and BlackademicsTV. She has also published on the topic in Black Acting Methods: Critical Approaches, and authored a chapter on her pedagogy in the forthcoming Routledge Companion to African American Theatre and Performance. Jonathan Mathias Lassiter, Ph.D. is a polymath who utilizes psychology, writing, and dance to help others heal and thrive. His roles include licensed clinical health psychologist, professor, author, movement scientist, and highly sought-after public speaker. Dr. Lassiter is the award-winning co-editor (with Dr. Lourdes D. Follins) of Black LGBT Health in the United States: The Intersection of Race, Gender, and Sexual Orientation. This book received the Gay and Lesbian Medical Association’s Achievement Award in 2017 and is the first and only text to focus solely on Black LGBT Americans health. This summer he started work on his first sole-authored book that will explore contemporary issues of race and mental health in the United States. In addition, Dr. Lassiter has published numerous articles in academic journals and lay publications, presented his choreographic work in prestigious showcases in New York City, and provided psychotherapy to clients in medical centers across the country. Currently, Dr. Lassiter is Assistant Professor of Psychology at Muhlenberg College and Visiting Assistant Professor of Medicine at University of California, San Francisco. With additional support from the Helen Weinberger Center for Drama and Playwriting, University of Cincinnati.